Package details: 30 lenses in buffered saline with methyl ether cellulose. 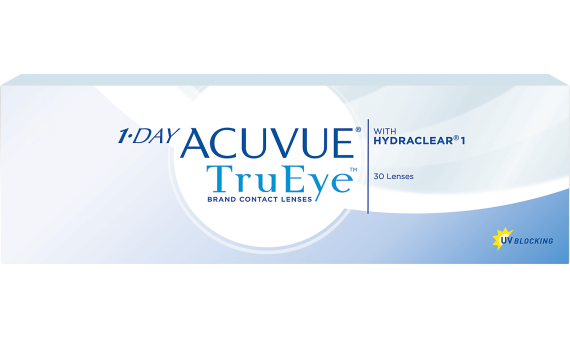 1-DAY ACUVUE® TruEye® lenses allow you to enjoy the same comfort as wearing no contacts at all. 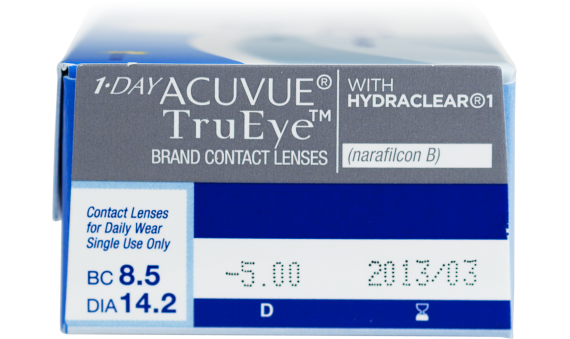 HYDRACLEAR® Technology and a silicone hydrogel material provide sustained moisture and oxygen flow to the eye. Plus, UV protection keep your eyes safe from the sun's harmful UV-A and UV-B rays.